Cassie tells us the 10 things you have to know before reading her latest novel, released next Tuesday, March 8! With Lady Midnight about to FINALLY hit bookshelves near you super soon, here's what author Cassie Clare wants you to know before you turn the first page! 10. Cassie reveals just how long she's been cooking up this brand new masterpiece! 9. She introduces the two main characters that will be taking a starring role. 8. And spills that some of our other beloved characters from The Mortal Instruments will be making a sneaky appearance too. 7. 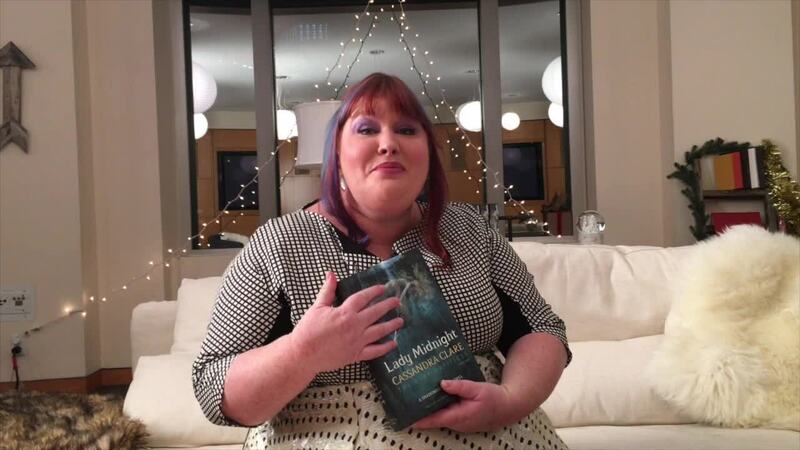 Cassie reveals that the Lady Midnight cover is one of her favorites! 6. And that we're going to meet a brand new type of Downworlder! 5. She hints that there's all kinds of new things for us to sink our teeth into! 4. She confirms that one of our favorite couples from The Mortal Instruments will get their very own engagement party! 3. And reveals that we'll learn what really happens when parabatai fall in love! 2. She hints that our favorite faces from The Infernal Devices will also be making an appearance. 1. And finally, she spoils us by giving us the last line from the book! Just how excited are you to get your hands on a copy? Let us know in the comments below!